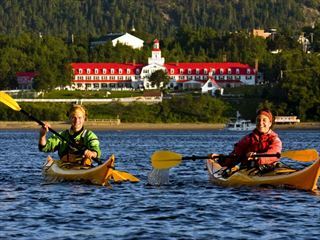 Tucked between Lac Miroir and Lac Tremblant and surrounded by lush scenery, the L’Ermitage du Lac is a boutique hotel that makes for an ideal escape, where guests can enjoy the ultimate in tranquility, including in the comfortable rooms and suites with their chic, contemporary urban design, and plenty of space for stretching out. 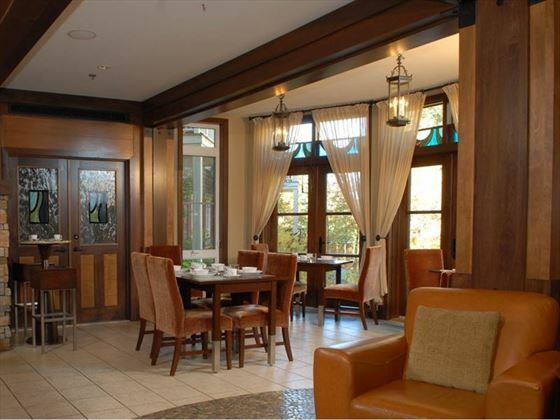 Some even include a full kitchen and fireplace. 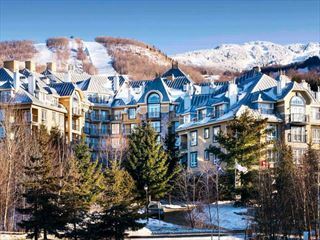 Located near the slopes of Mont Tremblant in the Pedestrian Village, guests can take advantage of ski-in/ski-out access and are also conveniently steps away from a host of other recreational activities, shops and restaurants, in addition to multiple outstanding amenities onsite. 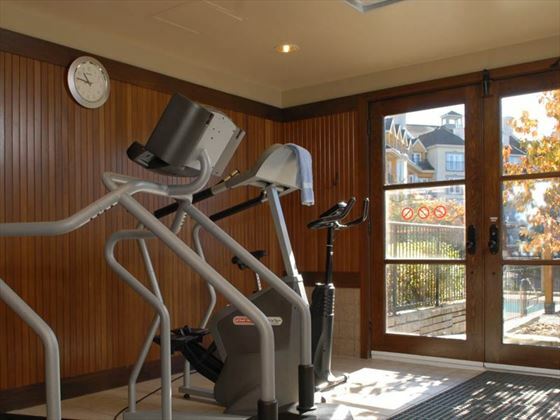 Get energized for the day by heading to the fitness room, and then after you’re all played out, come back and relax on the private lakeside beach with a good book, take a refreshing dip in the seasonal outdoor swimming pool or soak your cares away in the hot tub. 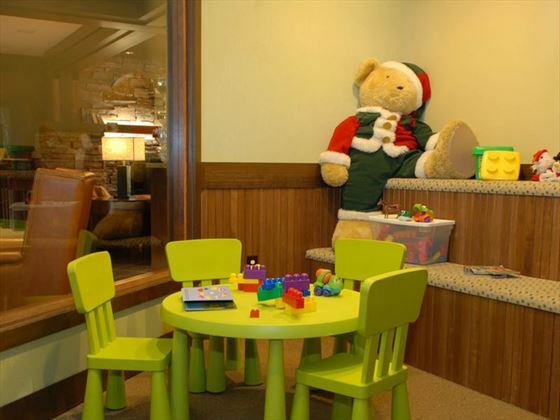 Queen Room – The approximately 330-square-foot Queen Room includes one queen-size, a sofa bed, two cooking plates and all standard amenities. 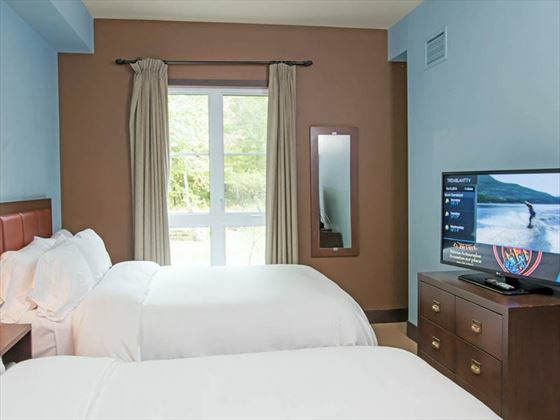 Deluxe King Room – The Deluxe King Room has approximately 540 square feet of space and includes a king-size bed and a sofa bed, two cooking plates and a gas fireplace, along with all standard amenities. 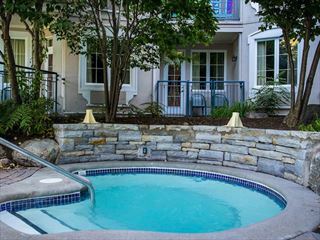 One-Bedroom Suite (King or Queen) – This suite includes one king-size or one queen-size bed, a kitchenette with a dishwasher and two electric cooking plates, a deck or balcony, a gas fireplace and all standard amenities. One-Bedroom Suite (2 Queens) – The Two Queens One-Bedroom Suite includes two queen-size beds, a kitchenette with two electric cooking plates, a deck or balcony, and all standard amenities. 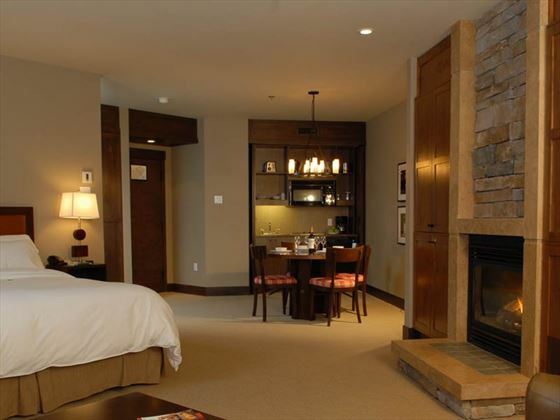 Two-Bedroom Suite (King and Queen) – These 1,030-square-foot suites include one king- and one queen-size bed, a sofa bed and a full kitchen with a dishwasher, as well as a gas fireplace and a deck or balcony. 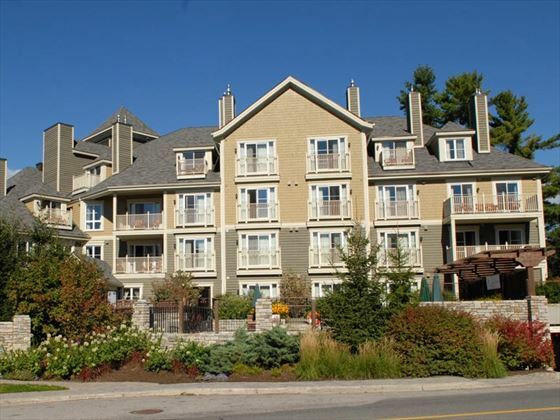 Two-Bedroom Suite (King and 2 Queens) – These 1,030-square-foot suites include one king- and two queen-size beds, a sofa bed, full kitchen with a dishwasher, a deck or balcony and a gas fireplace. 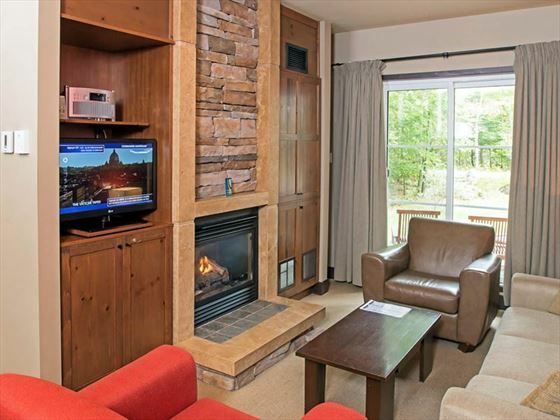 Three-Bedroom Suite – The 1,220-square-foot Three-Bedroom Suite include one king- and two queen-size beds, a sofa bed, full kitchen with a dishwasher, and a gas fireplace. 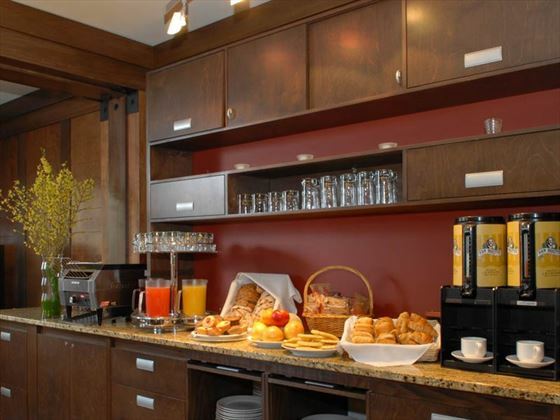 A complimentary breakfast is available, however, there is no restaurant onsite. There are multiple restaurants and bars throughout the Pedestrian Village. 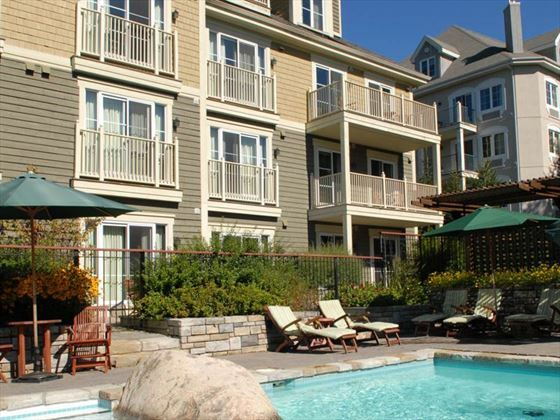 Les Suites du Tremblant L’Ermitage du Lac is located near the ski slopes in the heart of the Pedestrian Village, a 10-minute walk from the Mont Tremblant Activity Centre.